This entry was posted in Bloom, Care Club, Love It, Share It, Marketing Material, Resources, Shipping, Tutorial, Welcome Guide and tagged Bloom, Care Club, Essential oils, Love it Share it, Samples, Sharing, Shipping, The Oil Posse, The Oil Posse Team, Young Living on January 30, 2017 by Jordyn Lei. This entry was posted in DIY, Family, Thieves, Tutorial and tagged HowTo, Refill, The Oil Posse, Thieves, Thieves Household Cleaner, Tutorial, WetJet, Young Living on April 5, 2016 by Jordyn Lei. As we were trying to find one of our posts, to add a few more “Love It, Share It” cards, we realized it was getting a bit complicated trying to find some of our (hopefully your) favorite pages. SO, we took some time this evening to tidy up a bit and make things a bit more easier to locate! Don’t forget we also have things sorted by category and there is also a search feature — see it on the lower left hand side of the screenshot above. However, if you are viewing us on a mobile device, things will look a bit different but there should still be a menu available, it just may look like a few rows of horizontal lines that you will need to touch before seeing the websites full menu. We just hope this will help, if even a little bit. 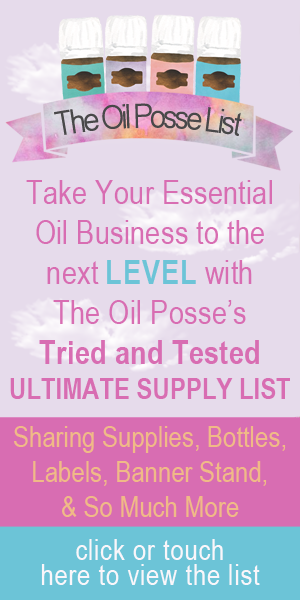 This entry was posted in Resources, Tutorial, Update and tagged 2016, Care Club, diy, Essential oils, Love it Share it, Marketing Material, Organizer, Planner, Printables, PSK, Samples, Sharing, The Oil Posse Team, Young Living on January 20, 2016 by Jordyn Lei. This entry was posted in Beauty, Care Club, Classes, Dish Soap, DIY, Essential Oils, Family, Gift Ideas, Lifestyle, Make and Take, Marketing Material, Recipe, Resources, Skin, Thieves, Tutorial, YL Blends, YL Recipes, YL Single Oil and tagged diy, Essential oils, Kickin the Chemicals, Make and Take, Make and Take Class, Recipe Book, recipes, The Oil Posse, Young Living on July 7, 2015 by Jordyn Lei. For those that have taken the time to read the “Classifications, you say! What’s up with that?” post, I’ve added a paragraph that should help some of those that are still struggling to grasp this topic. Haven’t read the post? Click/Touch here to read the post being discussed here in this blog post. This entry was posted in Compliance, Tutorial and tagged Clarification, Classifications, Tutorial, Update on June 17, 2015 by Jordyn Lei.